All I can say is, I think I turned something simple into something complicated! 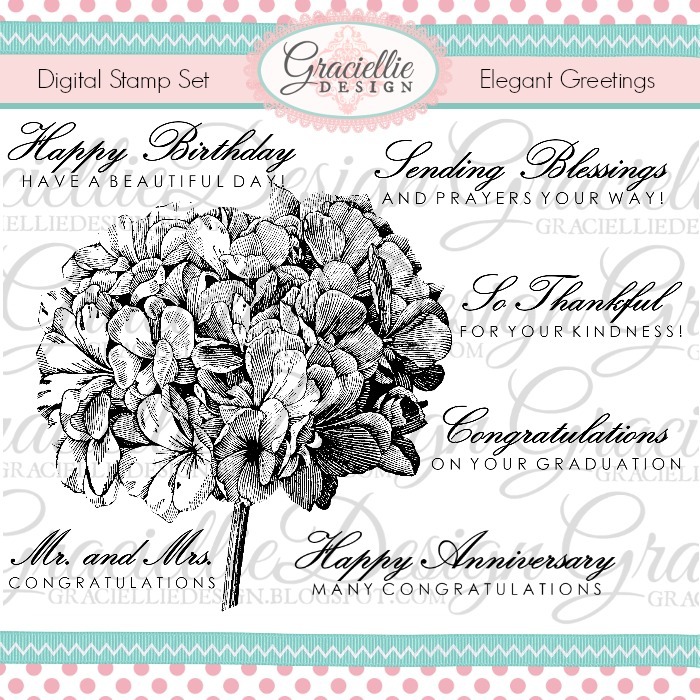 But I am happy with the results and now I have 18 birthday cards to add to my stash, I was down to zero! First I ran out of ink and had to re-ink a new printer and discovered that its cartridges don't like to be re-inked. I got through it and all is working fine, if any of you have a Pixma mg3022, I can explain how to do this. Why would I re-ink instead of buying a new cartridge? Because reinking cost me 65 cents a cartridge. 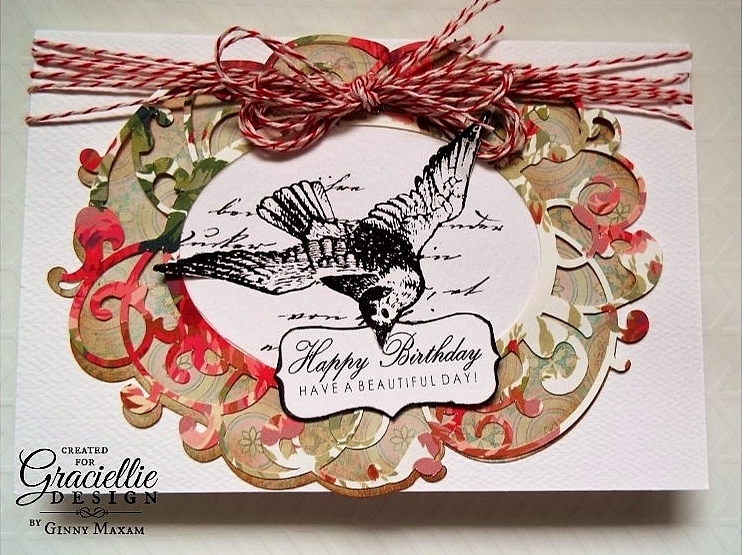 I used a lovely bird image from Graciellies Design - I love birds and flowers and botanicals! I printed this on 130# watercolor paper. 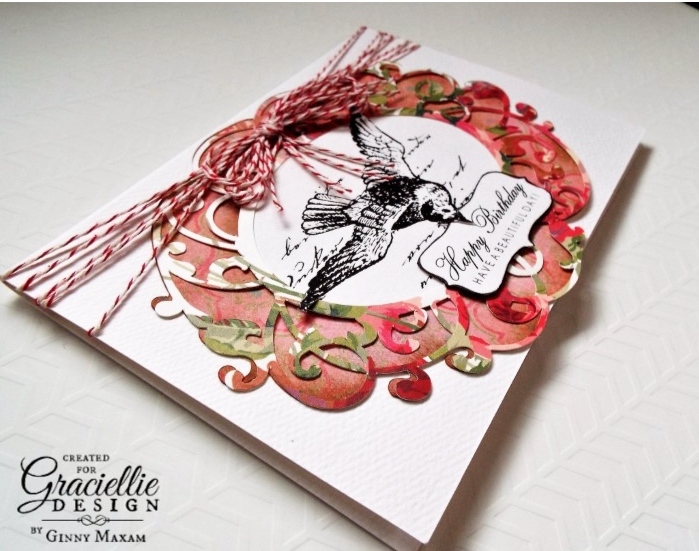 This gives the image a really rich look, The color is a warm white and the black really pops, it has a vintage letterpress look to it that I Love! I picked out papers from my Anna Griffin stash. I seem to love papers and images with a high level of contrast. I love muted tones too, but contrast seems to draw me! I cut frames and frame backgrounds on my Cricut. Honestly, I think it took me four hours over two days to make these, Which is why I did a batch, life is so hectic lately, it is nice to have a stack on hand. 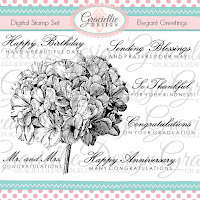 Using this image you could also do, get well's congratulations, happy wedding, happy baby, all kinds of events! Thanks for stopping by and I hope your next batch takes less time! I also have something special to offer to my blog readers! 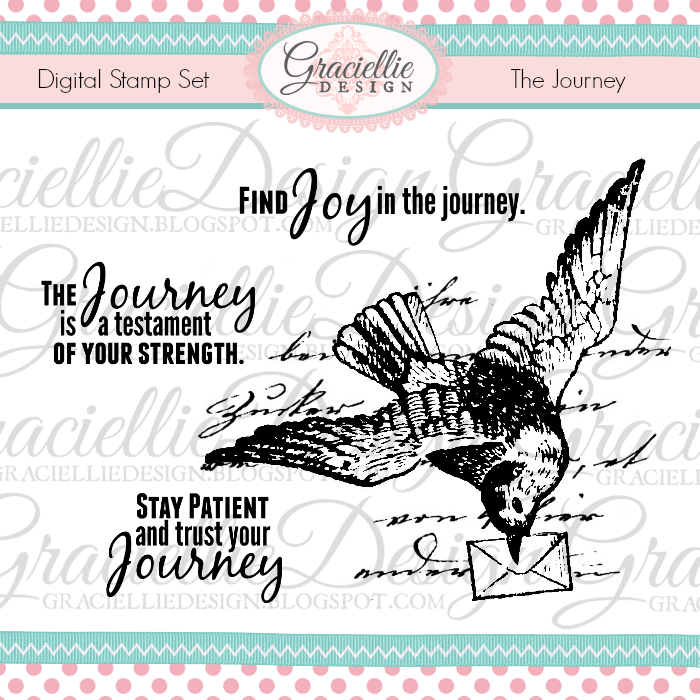 a 10% discount at Graciellie Designs! Here is your code to use at check out!